While violent crime has serious and immediate impacts on its victims, its effects permeate through the whole community. 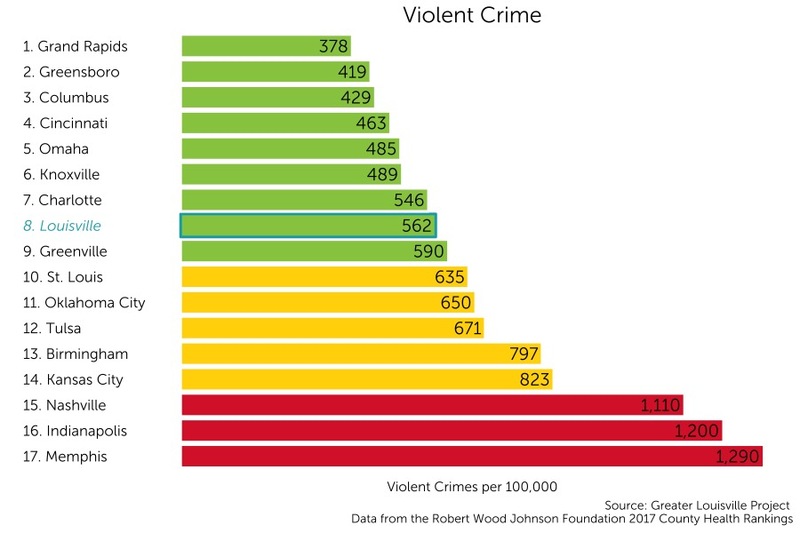 Violent crime is harmful to mental health, it deters people from healthy behaviors like outdoor exercise, and it is detrimental to community-building. Violent crime is a result of a wide variety of factors, including poverty and household instability. Louisville currently ranks 8th among its peer cities with 562.5 violent crimes per year per 100,000 people.